We have just harvested the last of the apples. Phew. Well when I say we, I mean, of course the royal “we”. And most of them are going to cider making and apple juice. But it would be just unfair not to make some apple desserts. 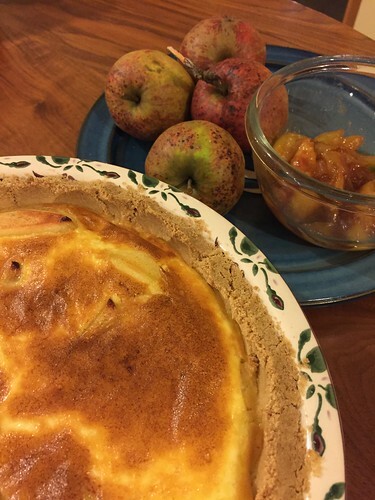 There are probably more variations on apple pies then there are apples. But I have a number of favourites, one of which involves making THE easiest crust ever, and doesn’t take cold hands, or indeed, any resting. This means it can be made at the last minute, if you feel like a little something sweet. We use alot of Elstar apples. It’s an offspring of Golden Delicious, and was introduced in 1972 from the Netherlands. It produces great crops, year after year, the apples last for some months when they are harvested. We use it alot, and although it doesn’t have the sharp green skin that many want their apples to have, the taste is fantastic. There are 144 apples native to Ireland, the Armagh Bramley Apple was awarded a protected status from the EU last year (A little like protecting champagne, and the Waterford Blaa). 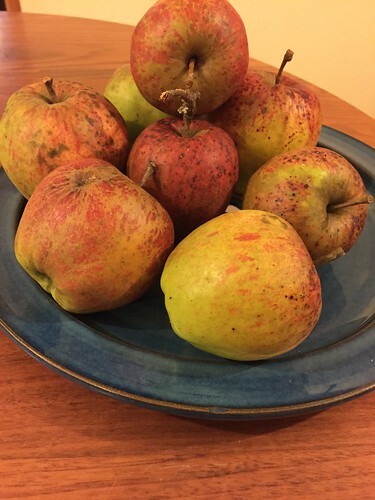 I think my favourite is the Blenheim Orange for a cooking apple variety. 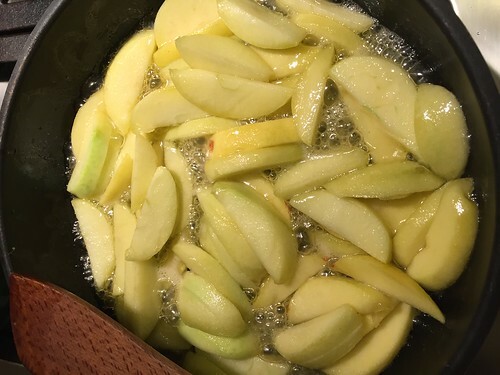 The recipe I use is great with lots of fruits, but with something like an apple, I tend to sauté them first to start the cooking process. 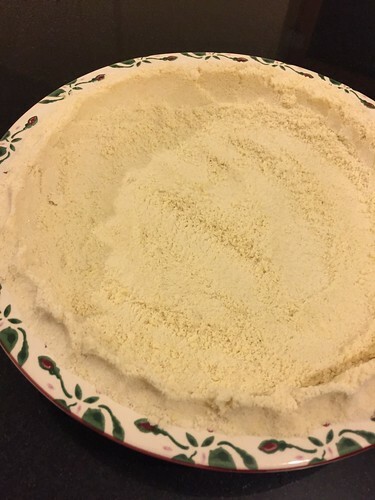 The crust is a simple crumble crust, that is simply mixed and pressed into the serving dish. This tart doesn’t like being removed from it’s cooking dish, so is best served straight from it. But it also doesn’t need resting or chilling. Then simply add the semi cooked apples, cover with some cinnamon infused sugar, and bake until the sugar covering melts. 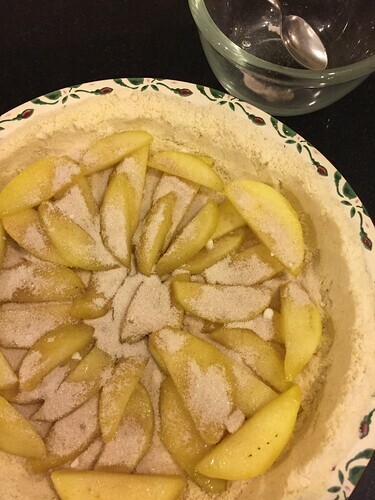 Then the cream/ egg yolks mix is poured gently over the apples, if possible while the tart stays on the oven shelf. this cooks until golden and set. It only needs to cool for about 20 minutes before ready to slice carefully, and of course it can be served with more cream!